Please read all of this information carefully. Take time as well to address forms to be completed well before camper arrival. And of course, please call or email us with any questions. PACKING LIST ...is important. Please read packing page in detail. Please respect our "no devices" policy. Phones only for those campers flying to/from camp for whom it is an absolute necessity. We will then store for the summer. Duffels or footlockers are all OK with us; you decide. All things being equal on your end, footlockers can be helpful as extra storage space once campers arrive. Everything Summer Camp (Home of C & N Footlockers) The name says it all! Find anything your camper might need here, including their popular footlockers and a name-labeling option. Oliver's Clothing Labels can be accessed via your Online Camp Account. Click "Camper Clothing Labels" under "Your Camper." Campbound and Campmor - good general sites for outdoor gear. We will store musical instruments in our office. Camp is not responsible for lost items. WANT SOME HVC SWAG? Then visit Planet Meg, our virtual “camp store,” featuring loads of fun HVC items, none of which is a necessity, though a water bottle and "crazy creek" outdoor chair are recommended. 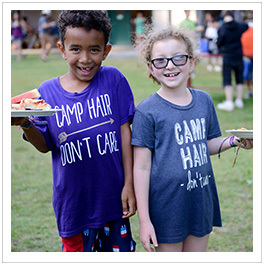 Note: We give each camper an HVC T-shirt during the summer season. We do not charge for incidental or program expenses. 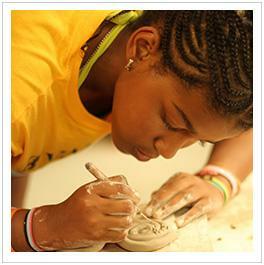 Free of charge, we provide standard items such as an HVC t-shirt, trip fees, post-camp DVD, etc. Additionally, campers can obtain stamps, shampoo, stationary, souvenirs, etc. 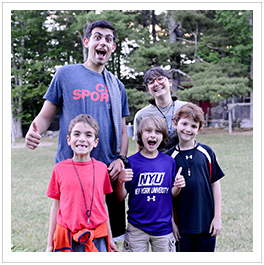 at our camp store, (no extra charge to families) up to a $35 limit that we monitor. (No refunds if children do not use this option) And we will give children cash as needed for camp trips, so there is no need for campers to bring any cash (or debit cards, credit cards, bitcoins!) this summer. Mail is very important to campers, so please write often! Even a postcard makes a difference in your child's day. We'll require him/her to write you once a week. Pack stamps, please, and consider pre-addressed envelopes for younger campers.. Outgoing email is unavailable. For incoming messages (no photos or attachments please) the email address is [email protected] with camper name in subject line, printed and delivered with regular mail within 24 hours. 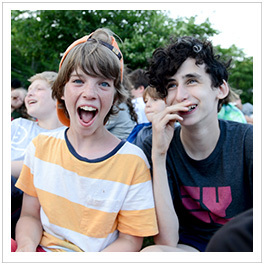 Please note that our bloggers provides daily News Reports from HVC, a great way for you learn about daily life, so tat you can write to your camper about what's going on up here. Dial 207-342-5685 and limit letters to two pages. These will be delivered with regular mail within 24 hours. Outgoing faxes from campers can be arranged, especially to overseas. Should contain only non-edibles like books, games, puzzles etc. Please inform relatives and friends of our non-junk food policy, and tell them not to send candy, gum, etc.! Packages from Amazon Pantry will be returned unopened. And please work together to limit care packages to two per camper per month. 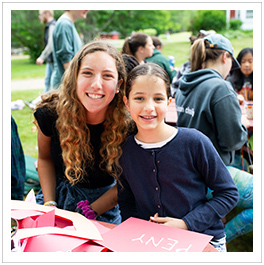 Many of our campers receive no packages due to a range of family circumstances; over-indulgence on your part contributes to cabin tension, jealousy, etc. With almost 400 people in residence here, we obviously need to limit phone use. Campers may call home once during the month to say hello. Additionally, we can easily bring you together for birthdays, other needs, etc. Please understand that campers' active schedules do not bring them near the phone. Leave a message, and our office people will schedule a call at an upcoming meal time when she/he is nearby. We ask that you limit calls to one per session. Of course, should any circumstances require that additional conversations are required, we can make these arrangements. If you have a particular concern about your child's progress or want to "check in" with Meg or Peter, call us at 207-342-5177. If we are involved in camper activities or meeting with staff, leave a message and we'll call back shortly. If you have potentially upsetting news to discuss with your child, please tell us first so that we can provide support after the phone call. This approach is also helpful should upsetting news be included in a letter. 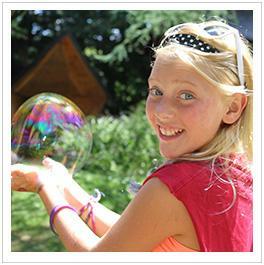 IN GENERAL, MAIL AND EMAIL ARE BEST: To best facilitate your child's camp adjustment, we suggest writing often. Former campers tell us that mail "lasts longer" than calls, as letters can be carried around camp and re-read in the cabin. Phone calls - while providing parents with immediate contact - disrupt campers from friends and active routines. Find out how we take care of parents all year long here. ...Can be avoided if we work together in advance. We know that camp is a special experience for your family and we will work very hard to do the best possible for your child. 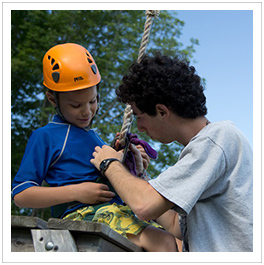 So please inform us prior to the summer if you have any concerns about your child's adjustment to camp. Once your child has arrived here, if you feel that there is a problem, bring it to our attention immediately. Do not wait until September! 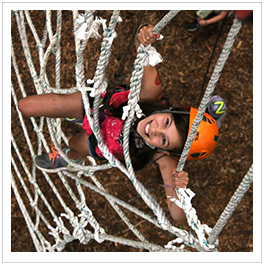 We hope that you will feel comfortable speaking with us about any camp situation. Meg, thanks so much for taking time to speak with me about Zoe’s letter home. Glad to know that you and the counselors are ‘on top of’ everything and that Zoe’s schedule is all sorted out. Make an appointment for a physical ASAP. You will be asked to provide a medical insurance authorization. Full immunization records required as well; please attach. Many pharmacy chains can perform this task for you. Please make sure each dose is in its own small clear bag with each bag noting camper name, med name, exact dosage, date and time of day to be administered. You can also visit www.campmeds.com. This system is safe, efficient and supports health staff's efforts. HVC no longer accepts dosages prepared at home. Inhalers & Epi-pens can be held on to by campers. In these instances, parents must sign a release. Please contact us with any questions. Over-the-counter: Do not pack as our health lodge is fully stocked. All medication (even vitamins) is required to remain under the control of camp's health personnel. Camp's RN's dispense meds. If a child is on a trip out of camp and no nurse is present, instructions are provided to a staff-member who makes sure that medicine is administered. Nurses are scheduled to dispense medication at mealtimes and bed time. Note that because many children are receiving medication, no one child is singled out and the process is discreet. If necessary, we can arrange for your camper to receive medication at times other than those noted here. 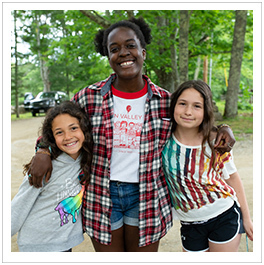 To best care for your child and other members of the camp community, we must have full information about campers' histories of communicable diseases, inoculations, medical conditions, recent accidents, illnesses, etc. Please take time to inform us about all relevant situations right up until the first day of camp. 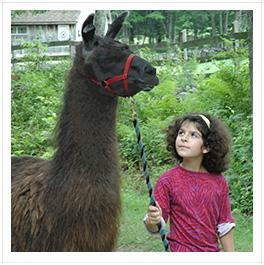 Head Lice: We check all campers and staff upon arrival. If a case of head lice is found: We take all necessary precautions to prevent a spread of this annoying condition. If your child is found to have lice: We charge families for an effective prescription medication plus an additional $250 for ongoing treatment (ongoing washing, combing, etc.) and may ask you to allow us to trim your child's hair to aid our efforts. 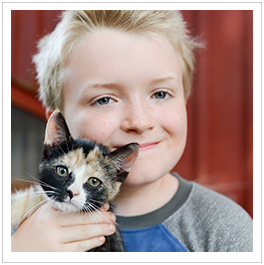 Learn about HV's full wellness approach. In the rare instance of injury or an illness requiring an overnight at the health lodge, nurses or Meg will contact you. 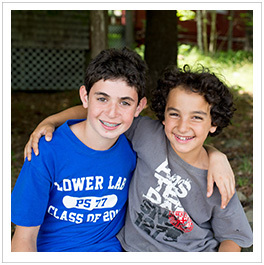 We can arrange conversations with campers and camp pediatricians as needed. 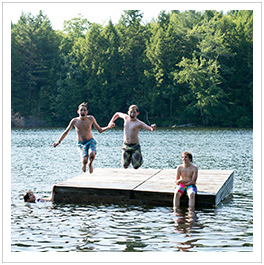 For HMO-based insurance, please alert your provider that your child is at camp so that coverage travels with them. Some HMO's will refuse payment if they have not been pre-advised about travel. Our menus offer many choices. If you have concerns about your child's diet or want to discuss allergy support please get in touch. Class selections take place during the first day of camp in small groups and with the supervision of Program Directors. If your child has their heart set on an activity - or if you have any preferences this winter - we can pre-sign campers for one or two classes before arrival. Please call or email; alternatively, you can do this on an Activity & Swim Request Form via your Online Camp Account, going to "Forms and Documents." 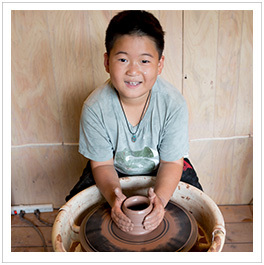 To see the range of activities that we offer, visit our programs section. 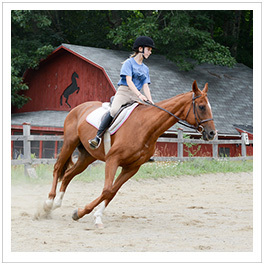 Take a look at guidelines and recommendations regarding a visit to HVC. Consult Peter and Meg's Vacation Guide. If taking out other campers, only relatives or "pre-existing" friends from home please. And only 1 camper other than your child. This minimizes disruptions in cabin life. Thanks for your understanding. 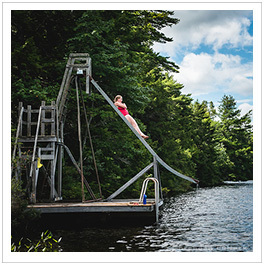 Permission is necessary to leave camp with relatives other than a parent or legal guardian. (For example: going out to dinner with grandparents.) So, to avoid disappointment, please anticipate such visits, and tell us your plans the Visitation Form at your Online Camp Account, going to "Forms and Documents." Birthdays are celebrated with balloons, singing, and a cabin party with cake and ice cream. Please send a gift and perhaps something for the cabin group to share. We'll arrange for a phone call, of course. 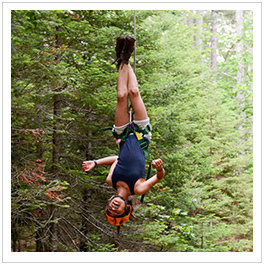 American Camp Association policy prohibits the tipping of counselors. We do strongly encourage you to write a nice note to staff members expressing your appreciation. Possession of drugs or alcohol or abuse of prescription meds will result in those involved leaving camp immediately. This absolute prohibition extends to marijuana, including for medicinal use. Hidden Valley also has a no-nicotine policy which applies to visitors as well. Campers in possession of tobacco or any nicotine delivery system - "vapes," "juuls," etc. - will be sent home. Live-in staff are required to leave camp in order to use these substances on off-time only. A very small number of commuting staff is permitted to smoke far removed from campers. Health & Medical - Important!